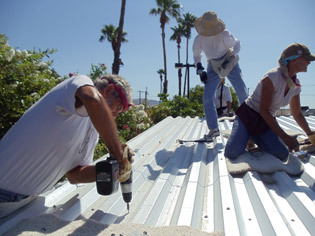 The shelter dogs of Indio, California finally received some relief from the scorching summer sun when sturdy metal coverings were installed. 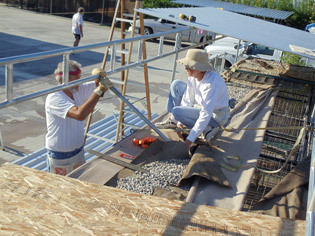 This long-overdue project was constructed by a number of hard-working and determined animal lovers, who volunteered their time, sweat and muscle. We are proud to have provided significant funding for this project, which should last for decades. During the construction, we also became aware of neglected and malfunctioning misters at the shelter and took action to get them serviced and operational. Click here for information about AIA’s subsequent lawsuit against the City of Indio to improve it’s animal shelter.